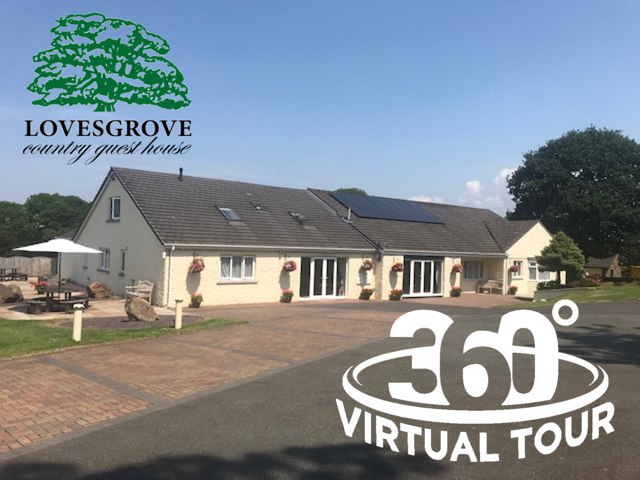 John, Jane & the Kilcoyne family welcome you to their Guest House set in the lush meadowland a short distance from the historic town of Pembroke. Visit a County of Castles, the highlight being Pembroke Castle, birthplace of King Henry 7th. Relax on Britain's finest beaches with golden sands at Barafundle and Broad Haven. A surfers paradise at Freshwater West, the film location where Russell Crowe and Cate Blanchett saved the day in Robin Hood. This is also the location of Harry Potters Dobby's Shell Cottage. Walk in the footsteps of Harry, Hermione and Ron. All this surrounded by the Pembrokeshire Coast Path. 186 miles of wild and rugged coastline. Secluded beaches, castle ruins and sleepy fishing villages are a few of the sights you will see on this walk which skirts the Pembrokeshire National Park. Breathe in the scent of wild herbs and flowers as you follow undulating cliff tops trails, listening to waves crashing in the sea caves below. Watch for puffins and seals who enjoy the coastal habitat and take a well deserved rest in one of the many secluded coves en route. This walk will leave you energised, revived and will inspire the senses. We are one mile from the Irish Ferry Terminal. We welcome travellers to or from Ireland, whatever the hour. Surrounded by farmland the views are as peaceful as the accommodation. At Lovesgrove we have ten bedrooms, all with en-suite facilities. Each room has remote control colour television with DVD player. A hospitality tray with a selection of hot drinks and locally produced bottled water is also provided. Wi-Fi Broadband is available in all areas of the accommodation.